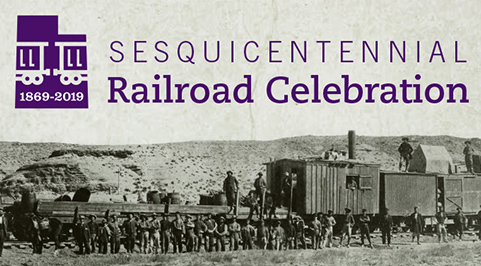 OGDEN, Utah – As part of the Transcontinental Railroad Sesquicentennial celebration, Weber State University Special Collections presents the Whistle Stop Tour, a series of lectures and exhibits dedicated to sharing the 150-year history of the railroad coming through Ogden. Held in collaboration with the Weber County Library and Union Station, the Whistle Stop Tour will examine the history of the transcontinental railroad. Lecture topics will include why the railroad came through Ogden, the people who worked on the railroad and the effect the railroad had on Ogden and the surrounding areas. Lectures held in early March will commemorate the railroad reaching Ogden on March 8, 1869. In addition to lectures, the Whistle Stop Tour will include two exhibits. 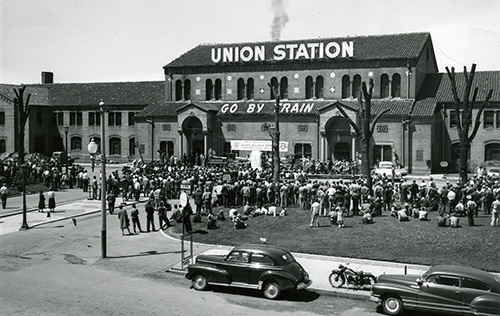 The first one will feature photographs and stories about the impact of the railroad on Ogden. This exhibit will be available throughout February at the Weber County Library Southwest Branch in Roy. 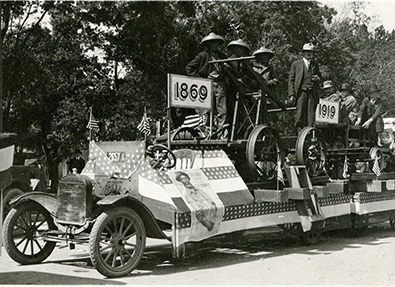 The second exhibit will highlight photographs of the Transcontinental Railroad 50th anniversary celebration parade held in Ogden in 1919. This exhibit will be on display March-April at WSU’s Stewart Library, and throughout May at Union Station. The Whistle Stop Tour is a part of Weber Reads: The Transcontinental Railroad, presented by the Weber County Libraries. Debra Daniels and Sarah McClellan will share their families’ experiences working on the railroads as Pullman porters. Historian and author Val Holley will share stories and insights into the train coming to Ogden and the impact the railroad had on the city’s development from 1869 to 1900. WSU Special Collections Curator Sarah Singh and Union Station Museum and Program Director Holly Andrew will share stories of the hard-working women who entered the world of railroading as clerks, laundresses, engineers and more. WSU Special Collections Curator Sarah Singh and Union Station Museum curator and program director Holly Andrew will share stories of the hard-working women who entered the world of railroading from clerks to laundresses to engineers. Former Standard-Examiner Columnist Charles Trentelman will discuss the impact of the railroad on Ogden’s history and expansion. Judge Raymond Uno and Lorraine Crouse, University of Utah photograph curator, will examine the stories of Japanese men who came to the United States to help build the railroad and ended up staying and establishing “Japantowns” across the West. 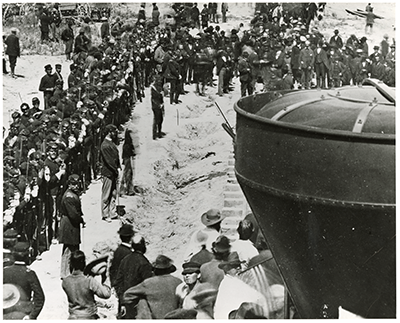 Shelley Fishkin, Stanford University English professor, will discuss her research regarding Chinese railroad workers who helped build the transcontinental railroad. This exhibit will feature photographs and stories that illustrate how the railroad changed Ogden from a small town into a thriving city from 1869-1960s. This exhibit will feature photographs taken during the 1919 Golden Spike parade in Ogden and will include images from local photographer Charles Maccarthy.